Hello and welcome to the “S” Word LIVE. We are on location today in Hartford Connecticut, and I’m with the amazing Julia Taylor. And we have a little story to share about selling today. Now you know that I come live every week and I talk about different ways to sell, specifically as a woman, specifically about maintaining the relationship. Well Julia has two businesses that I’ve had the privilege of learning about and knowing, one I work with a little more closely, and I asked her to share a story with me today. So if you could first tell us, the first company that she has it’s called Backcountry Expeditions, and it is amazing. We’ll share the links below. Basically if you’re an adventurist and you like two to four wheels, she could get you out there. It’s amazing. So her so her husband run Backcountry Expeditions together, and I had the privilege of working with her husband initially. But this is a story that she says her husband tells at dinner now. So I’m going to let Julia tell this story. He loves telling that story and like to this day he’s still blown away with how little subtle things make such a difference in selling and that the business has blown up just because of that. Yeah. And it has. It’s really super amazing. Before I met the backcountry expedition team and had seen their work I was like, “two wheels on a motorcycle? I don’t think so.” Now I have a little fantasy that it might be possible one day, but don’t tell anyone. Oh wait. I just did. So Julia has another business called The Geek Pack. Which I want you to share this mission with everyone, because I think it’s very, I just love it, it’s so much in alignment with I think the overarching feeling of what we’ve been doing and learning in this mastermind that we’re in together. Yeah. Sure. So Geek Pack is is my community that I love love love, and it’s a bit of a backstory there. So, I’m self-taught web developer, and I taught myself in a vacuum. I didn’t have a community. I didn’t really have formal training. I Googled everything, and I really struggled, because I didn’t know how to find clients. I didn’t know how to interact with people online, and I just got lucky that I found an online community. But beyond all that, I saw that there was this gap, where women wanted to learn how to code and do techie stuff and kind of feel empowered. But there wasn’t the community to kind of support and encourage them because coding people can be really nasty. So my aim, from the beginning, was to create a community. So it’s a course, but it’s also this community along with it. And the community is amazing and supportive. And I like to work with people one on one if they need it, because you’re in an arena as a coder, as a web developer, where it’s mostly men, which is fine, and women can do it just as well if not sometimes better. But it’s feeling comfortable in that area and and knowing that you can ask questions and not be ridiculed. So that’s what the community is all about. We’re a pack. We’re a family, and we’re geeks and we love it. And it’s okay, because you make a lot of money. And that’s what I love too is it like so when Julia now. So we’ve been in this mastermind together for over a year now, a year and a half together. Right. We’ve been at three these. Yeah yeah. Oh it’s fun. OG. OG. And so this mastermind is run by Julie Stoian, and we’re very lucky to have this crew. And it’s just the depth and breadth of the experience we have together. 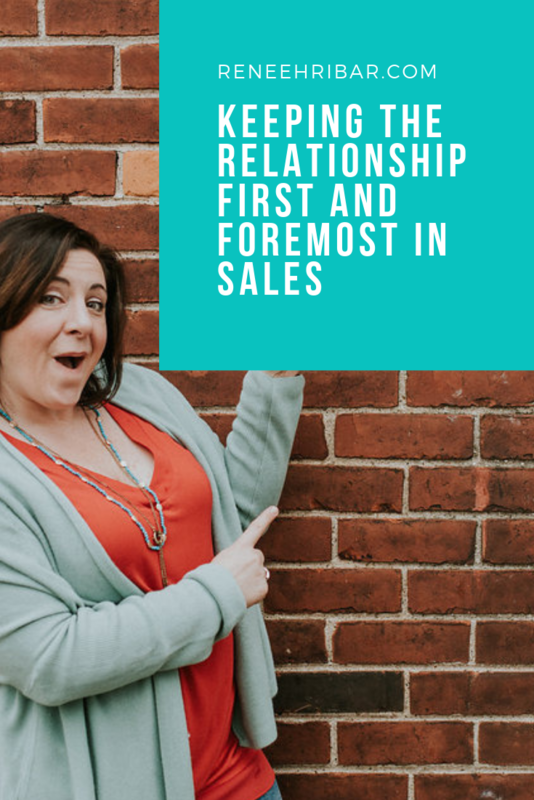 So last time we met I did a training on sales and you know Julia is very detail oriented and very she’s a coder, but she loves this community effect. And so before she might have gotten a message on Instagram or maybe an email from someone and maybe not have reacted in this way. So now when she gets a D.M. or an email. Now what do you do? Oh my gosh. I create that personal connection, just like what Renee has taught us at the last mastermind. And it’s all about those personal connections. Kind of saying, “hey, I hear you. You are important. You can do this. I don’t care what your background is.” Now you know another story. I’ve got a woman in Geek Pack who she’s 65. She’s a full time RVer, just like me. She found me on Instagram and she could barely touch a computer. She was really scared of it. And she e-mailed me two days ago, “I got my first client!” She’s building someone’s website, because she went through the course and she’s so empowered and she’s got so much confidence, and I’ve done some one on one stuff with her. But she she DM’d me on Instagram and said, “I want to try this. I’m scared.” Still be scared. Just give it a go. Just try one thing, and if you like it, try another. And she’s hooked. She absolutely loves coding. So I love it. It’s stories like that you know. I love this. It’s so just empowering the women. So this is all about teaching women how to sell, because it can feel awkward or strange like, “Oh someone messaged me. I mean what do they want? What do I say? Is it gonna be weird if I say something?” and be personable, relate to to where they are, and tell them they can they can do whatever it is they’re not sure about. Yeah absolutely. Yeah. Encouragement, help, support. It doesn’t have to be for a foreign. Hey Julie Ford. How you doing Diane? Hey Irena. Hello Heather. I see you guys here. And Shay. Hi Robin. Robin’s upstairs I think watching. Yeah it’s about to be lunchtime here. But that’s the key is if you are a woman who, and this is why I think the coding community is very similar. Before we went live Julia shared that you know the coding community is generally it’s mostly men. I know that even I Irena was a coder. She had done some back end work, so it’s mostly men, and they can be nasty, especially to women. And it doesn’t have to be that way. I felt the same way when I was in sales. It was the O.G. but it was like they were teaching me this is how you got to do it. And I thought, you know you don’t have to do that. So when I teach sales and what I shared here and when I share with these people it’s protect the relationship over everything else. Because we’re building not just a transactional business like, “Hey, buy this whatever cell phone case or something.” We are in the relationship business first and foremost, and those relationships will feed you and your family and your dreams and the other people for years and years to come, and women we are built to have deep relationships. So to learn to sell like that. That is my goal for you. And so if you want to find out more click link above. Otherwise I’ll see you next week. Bye. Shay Sparks helloooo! great to see you here! Yes, they can!!! I was a coder way back when…. I love what Renee teaches!!! You have the BEST SCRIPTS in Sell LIke a Mutha’ to help with this, Renee!! Irena Chace Miller ha ha yes! SO MUCH FUN! Thanks for having me on your show! Renee and Julia!! Love it! such a great option for women who want to learn coding! Love it. awesome gals. You are amazing! Esther Littlefield right back atcha lady!